According to The State of Inbound 2016 report, marketers who check their metrics 3X+ times a week are over 20% more likely to achieve a positive ROI. But, if you don’t know what to measure in order to determine your content’s efficiency, you probably won’t be able to hit your mark. So, what are those key metrics to look at and what kind of tools can you use, or continue using, for more data-backed decisions? 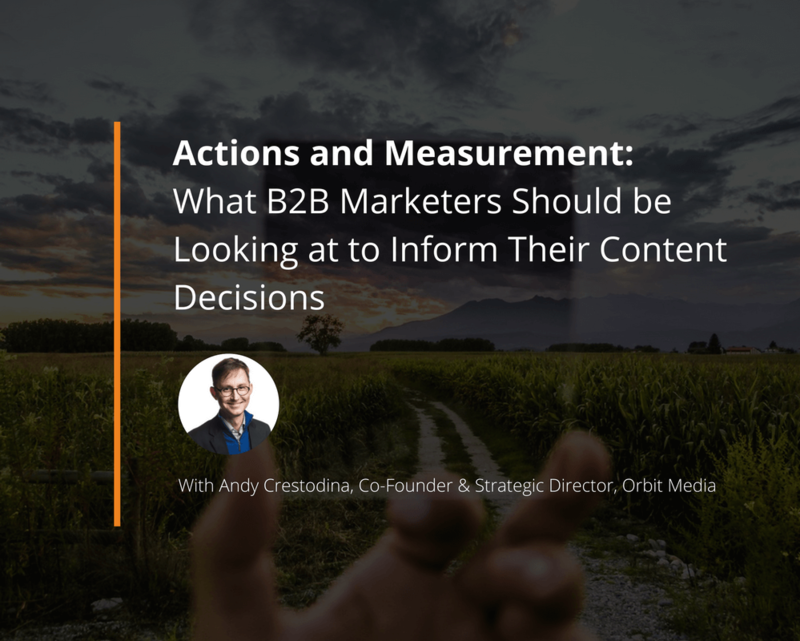 We reached out to Andy Crestodina, co-founder and Strategic Director of Orbit Media, someone who has provided web strategy and advice to more than a thousand businesses, to find out what he considers the best gauge of success for your content efforts. Does the content increase traffic? Does the content increase the conversion rate? What Reports and Metrics Should B2B Marketers Focus on? Let’s start with the two most important numbers in digital marketing. Whether you use Google Analytics or any other platform, these are the big ones. If I was stranded on a desert island and could bring only two metrics with me, it would be these two: traffic and conversion rates. Because they’re the two big factors in success! Of course, conversion rate is the percentage of people who complete a goal. And the two main goals for most brands are leads, subscribers, or sales if you do eCommerce. To set up these goals, it’s best if the action that visitors take brings them to a thank you page. In other words, if they subscribe to your newsletter or become a lead, they land on a thank you page. This page has its own URL. It’s a separate page, not a little message within the page. Caution: A thank you message, unlike a thank you page, doesn’t have its own URL. This makes tracking conversion rates more difficult since you can’t set up a “destination goal.” If your contact form shows visitors a thank you message, you’ll need to use “event tracking” to measure conversions. Ask your developer. If you enter the address of that thank you page into the “Goals” in the Google Analytics Admin section, Analytics will know what success looks like. Here’s a quick video that shows you the steps for setting up goals. What percentage of visitors are taking the desired action? Visitors from what source are most likely to act? Which pages are supporting conversions the best? Now that you’re measuring your conversion rate, you can improve it. We’re focused on measurement here, but it’s worth taking a minute to make sure you’ve got the basics of conversion rate optimization covered. Does my site answer the top questions of my prospects? Does my site address their top objections and concerns? Does is provide strong social proof and evidence? Are calls to action clear and express explicit benefits? Are there any distractions on the products and sales pages that don’t align with the concerns of potential buyers? If you missed any of those points, small changes might make a big difference! What Analytics/Metrics/Tools are Content Marketers not Using But Should be? 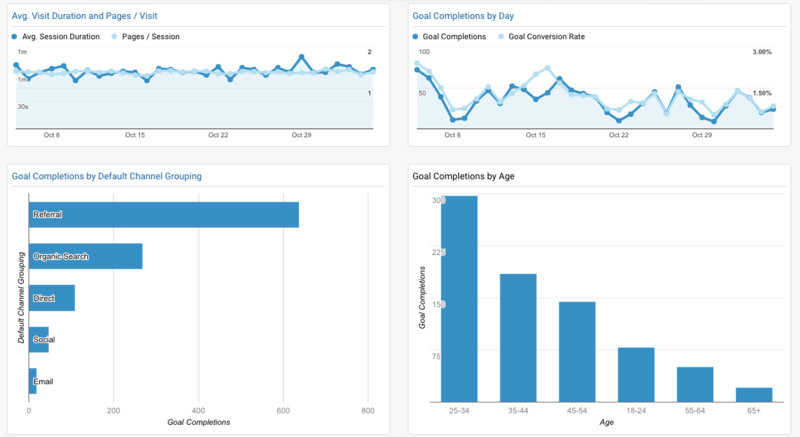 One report that a lot of marketers miss is the “Behavior Flow” report in Google Analytics. It looks different than the other reports but it is simple and with very useful insight inside. This report shows you the top path through your website. Where they start, where they go next, where they leave. It’s useful because once you know the top path, you can focus on that sequence of pages that are already getting traffic. Time spent here is more valuable than time spent on other pages. If your website was a city, there would be a highway running through it. When you know where that highway is, you know where to put your billboards. Also, if you see that important pages are getting missed, you can try to change your top path by adding internal links or re-labeling your navigation. What’s Can B2B Marketers Do To Boost Their Site’s Content Performance? Assuming that you have content that is truly relevant and truly helpful, you can boost its performance by focusing on promotion. Publishing is not enough. Every piece of content needs a plan to get some traffic. Mention people outside your network and share with the influencers you’ve been networking with. Expand reach by using Twitter Advanced Search to find more relevant people with large followings who would be interested and likely to share. Mention one or two of them at the end of another tweet. If the content actually mentions, quotes or links to a social influencer, they’ll be more likely to share it. If the post is likely to stay relevant or evergreen and is not based on timely research, ephemeral pop-culture references or changing trends, schedule a tweet promoting the post for six months or a year in the future. Sponsored content is a very powerful source of qualified visitors. Consider putting a few dollars behind your best work. 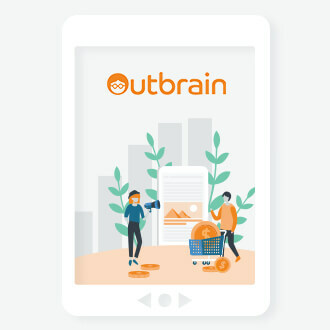 May I recommend Outbrain? If you have a few very high-value connections, such as prospects in the pipeline, it is absolutely worth it to send each of them a personal email with the link. Few people do this. Many people should. These items were taken from a bigger list. Here’s our complete list of 33 ways to promote your content. Remember, it’s not the best content that wins. The best-promoted content wins. There are lots of helpful shortcuts. One of the best is the use of a dashboard. 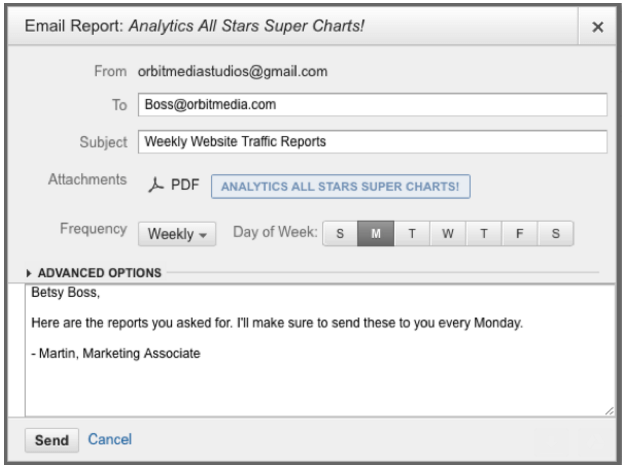 This is how you can gather up all of your top reports in one place in Analytics. Or better yet, deliver them right to your inbox. When you find something insightful within a report, click the “Add to Dashboard” button at the top of the screen. 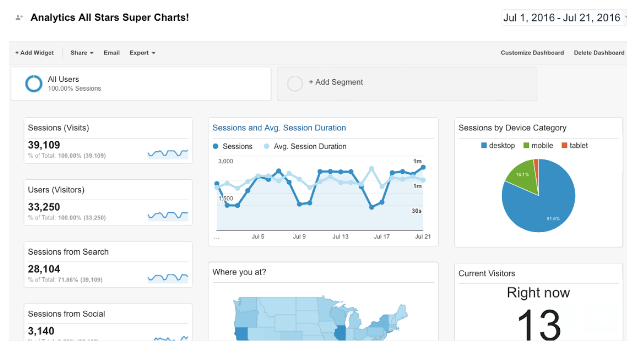 You can create a new dashboard if you don’t have one yet, or add it to an existing dashboard. Eventually, you’ll have all of your favorite reports on one screen. If you want this data to come to you proactively, you can have Google Analytics automatically email it to you as often as you’d like. Or if you report to someone who wants regular updates, you can have the reports of their choice automatically to them. 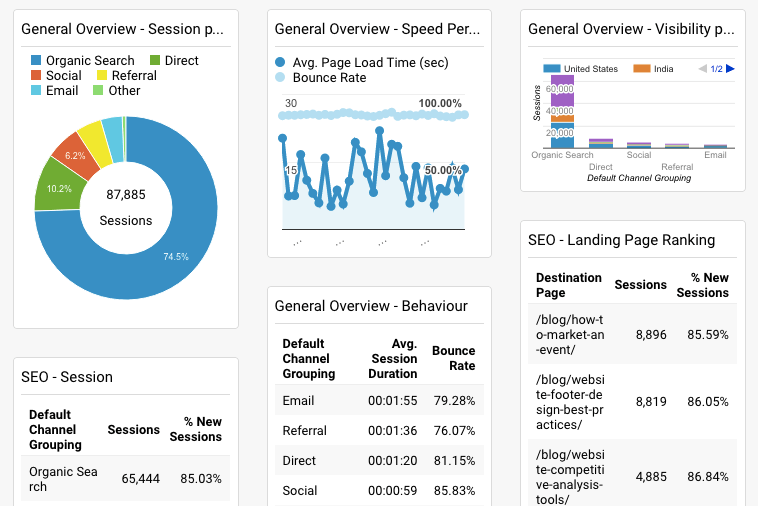 I recommend creating one dashboard for traffic and another for conversion rates. We’ve been talking about reports. But really, analytics are meant for analysis. If you want to improve your marketing, you need to look beyond the charts. You need to take action based on data. Use analytics as a decision support tool. Ask questions, find answers and act. Reports don’t affect your marketing. Only actions do! 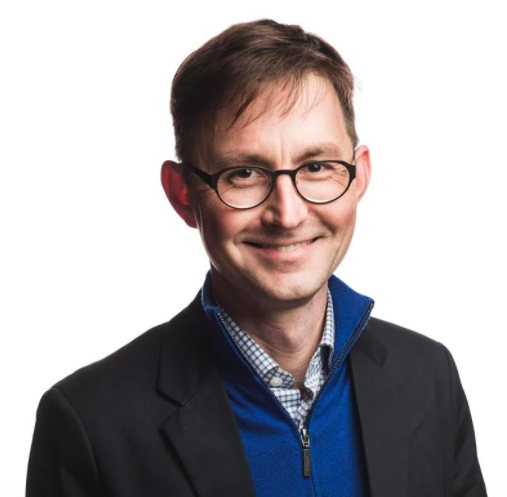 Co-Founder / Chief Marketing Officer of Orbit Media Andy Crestodina is an international top-rated keynote speaker and the author of Content Chemistry: The Illustrated Guide to Content Marketing. It was the blog, what I am actually finding from the internet. I read each word of you and I already following some techniques of using analytics tool. Now only, I have to design dashboards which you suggest. In addition, I am waiting for your next article for SEO and content marketing, a big thank you @Andy Crestodina.